The use by students of essay and assignment writing companies has hit the headlines once again with a number of YouTube vloggers coming under fire for endorsing academic cheating. A BBC Trending investigation discovered over 1000 videos encouraging students to save themselves time and effort by paying online services to complete written assignments and presentations on their behalf. YouTube has since removed the videos but the investigation still highlights not only how widespread the practice has become but also the battle faced by universities to ensure that the work submitted by students is their own. “The use of assignment writing services can be an issue when assessment relies on written assignments which are not necessarily contextualised to the learners own life or direct experience, relying predominantly on hypothetical or theoretical argument. The approach to learning which BGU has adopted in its BA (Hons) Business (Team Entrepreneurship) degree programme offers an interesting alternative to the reliance on theoretical critique. On this course, assessments are both practical and written, requiring students to synthesise their personal learning journey with appropriate theory and/or resource. In this way, the evidence each student produces is highly individual and it would be extremely difficult for an unrelated third party to be able to fulfil the requirements of the assignment brief. BGU are one of seven universities in the UK who have adopted the Finnish Tiimiakatemia, or Team Academy, methodology of “learning by doing” in the field of business education. Although this method of assessment cannot be used as a panacea to the issue – nor is it appropriate in every situation – it raises the question of how appropriate current assessment methods are and to what extent they evidence personal learning. The use of assignment writing services, though not illegal, is expressly forbidden at BGU. If any of our students are struggling with their assignments or workload we would encourage them to seek support from our Student Advice Team who will be able to help them get back on top of things. You can find more information on our Business (Team Entrepreneurship) course, as well as our full portfolio of degrees on our website. 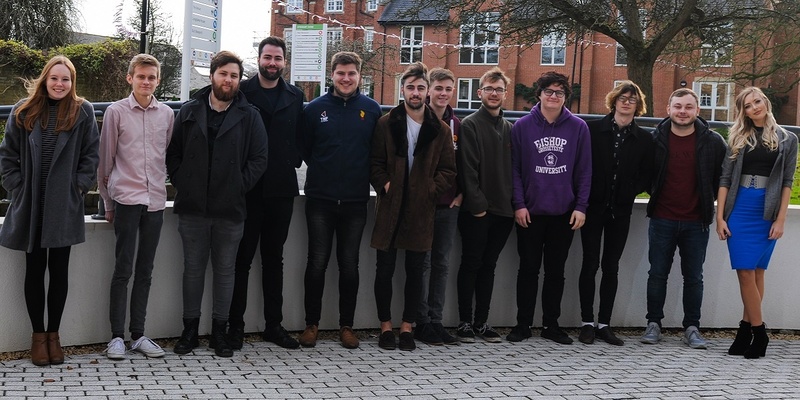 Business (Team Entrepreneurship) students from Bishop Grosseteste University (BGU) in Lincoln are travelling to Finland in January.